This mature 25' female Minke whale was chased into Echo Bay, B.C. 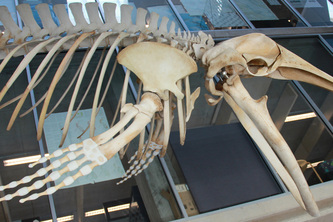 by transient killer whales in 2004. She was beached and died in Echo Bay. 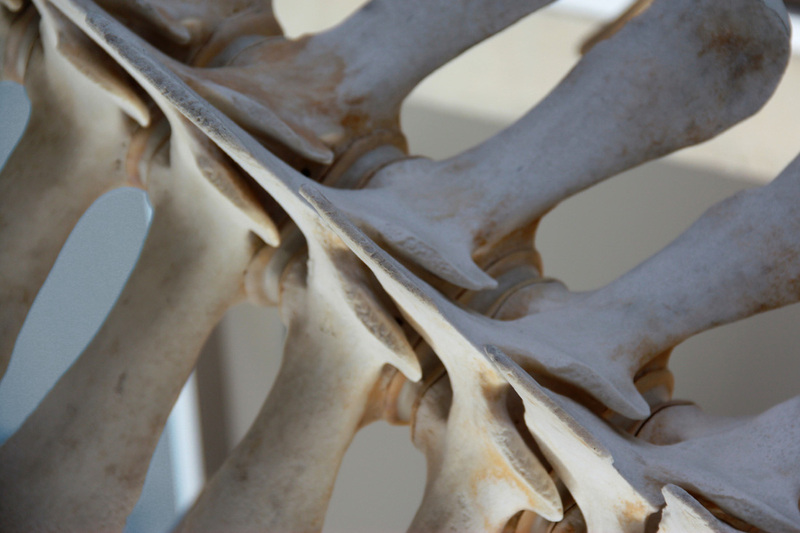 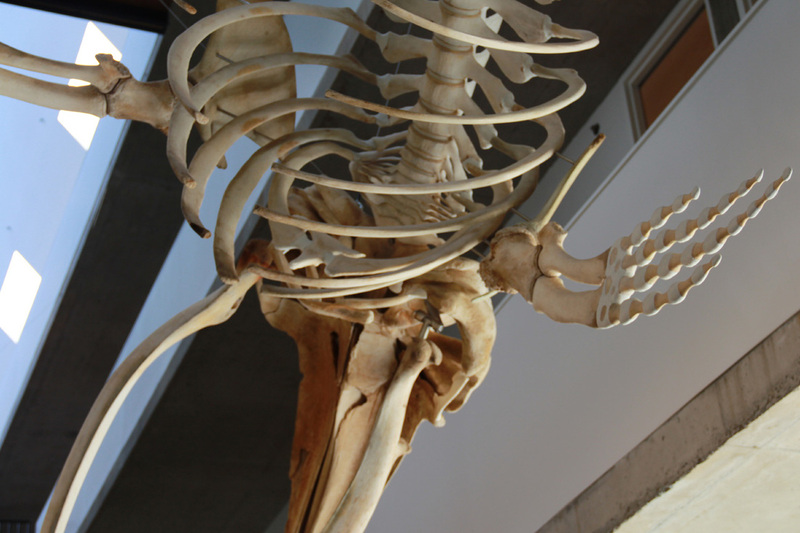 Her skeleton tells the story with at least three broken ribs, damaged in the harrowing chase and beaching that ended her life. 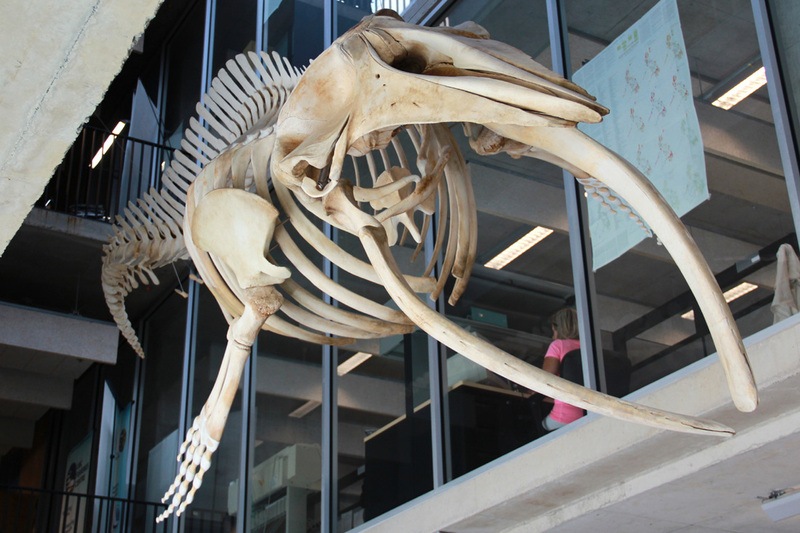 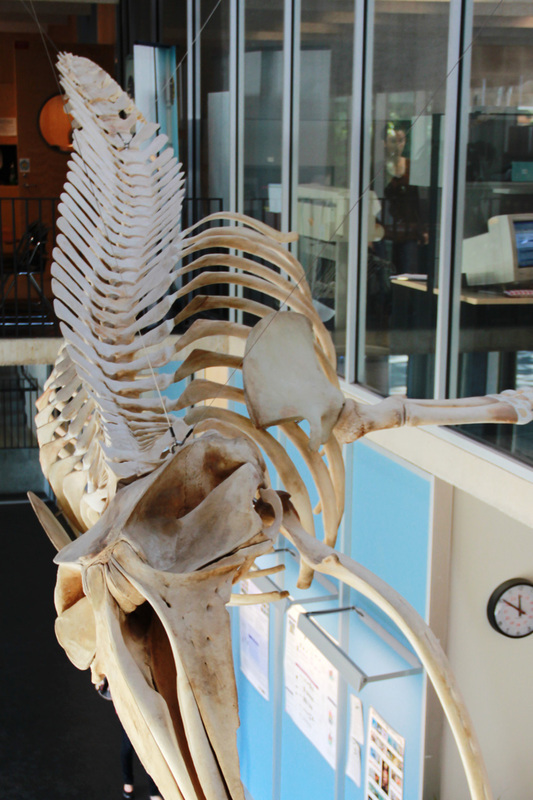 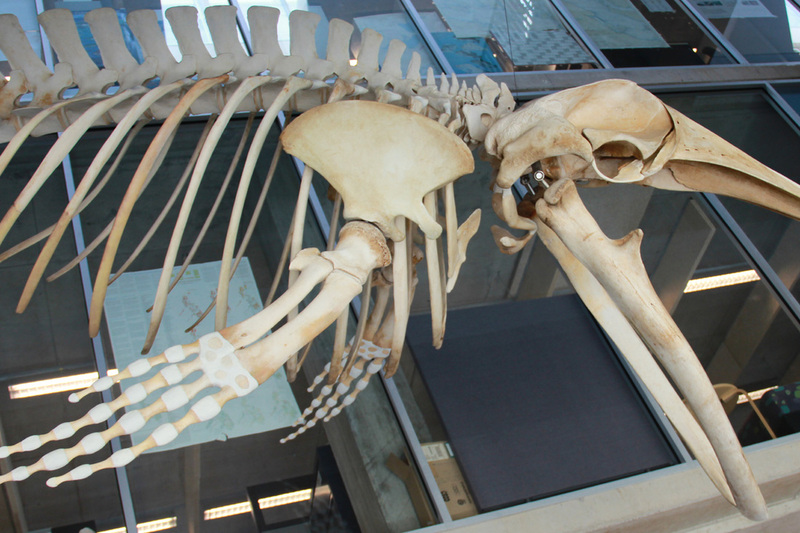 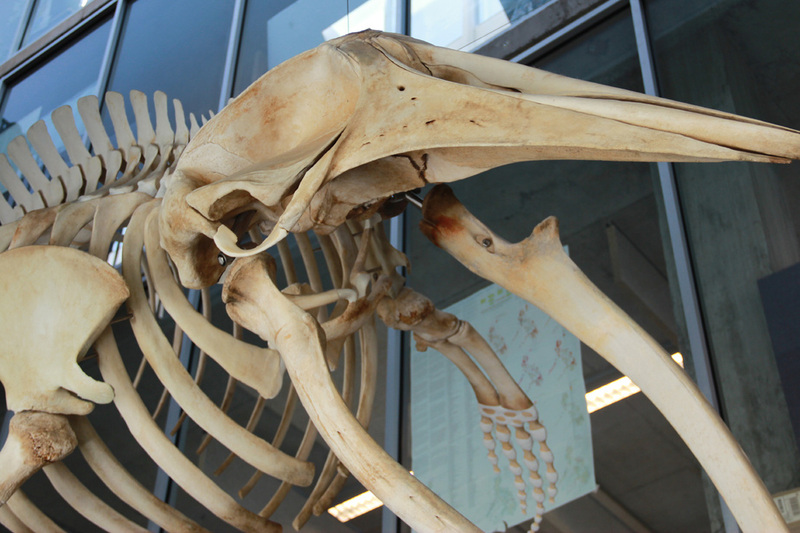 Several bones were unaccounted for when Cetacea began this project - likely they were lost during the initial cleaning process. All missing bones have been replicated and damage fully repaired. 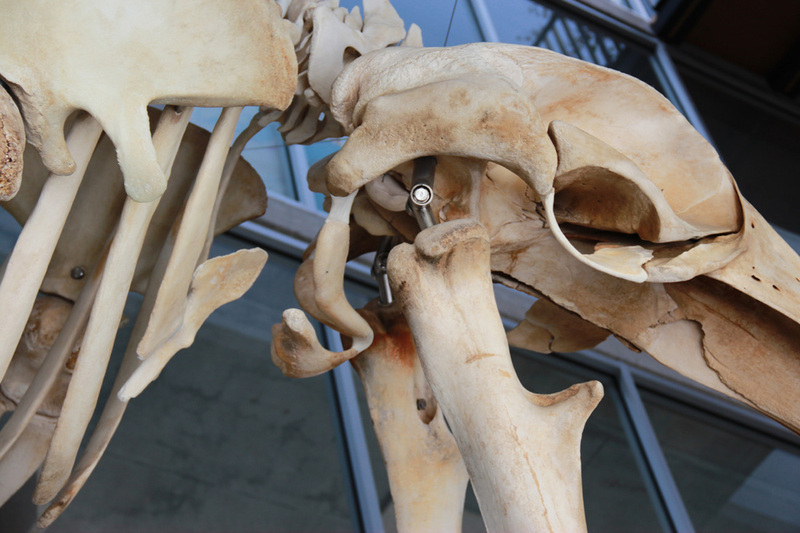 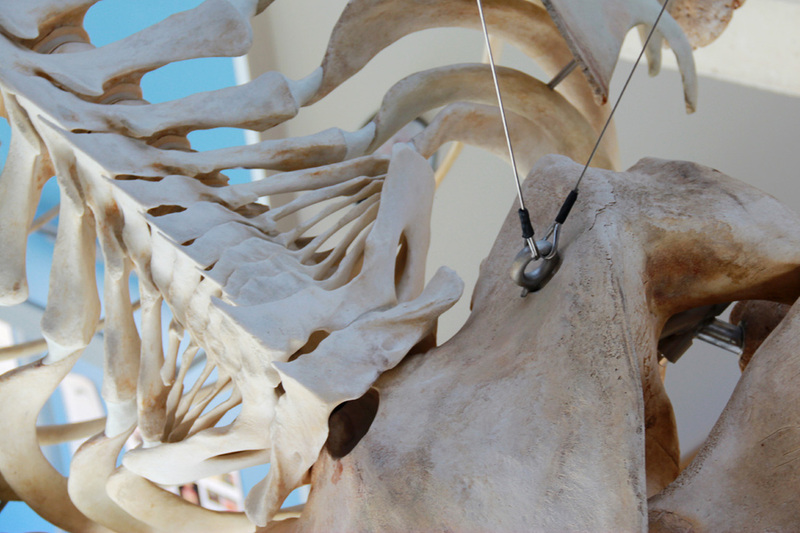 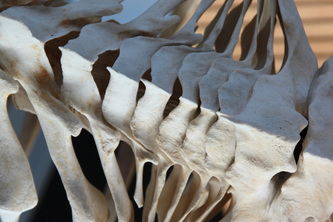 The skeleton is internally supported and suspended on thin stainless cables to bring out her elegant underwater grace. She is dynamically mounted, engaging in a half-roll as she dives downward with jaws wide open, tail in a powerful down-thrust with flippers extended and guiding her as she lunge feeds through a swarm of krill.